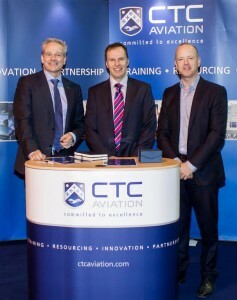 Two of Europe’s providers of airline pilot training have formed a new airline pilot training partnership. CTC Aviation will join European Pilot Selection and Training (EPST) of the Netherlands to deliver training and placement services, initially for its popular Europilot programme. This new partnership will see CTC Aviation providing professional airline pilot training to ‘frozen’ ATPL standards at Crew Training Centres in both the UK (Southampton and Bournemouth) and Phoenix Goodyear in the USA for up to 50 EPST trainee pilots annually. EPST Europilot applicants will be required to demonstrate, with EPST in Maarsen, their suitability for airline pilot training and subsequent employment before commencing six months of ATPL theory training and examinations with CTC Aviation in Southampton, UK. Trainees will then commence CPL flight training on Garmin 1000-equipped Diamond DA40NG and DA42NG aircraft and simulators at CTC Aviation’s newest training centre in Phoenix Goodyear, Arizona before then returning to the UK to complete Instrument Rating training in Bournemouth, UK. Multi-pilot Airline Jet Foundation Training Course (AJFC), which includes Multi-Crew Cooperation training (MCC), will be completed at EPST’s training centre in Maarsen in the Netherlands. For more information, visit ctcaviation.com.